Paul, as a decisive touch to the picture of the artist,It gives the interior a finished look. Correctly chosen flooring fill the interior harmony, and bad choices can discredit any design decisions. 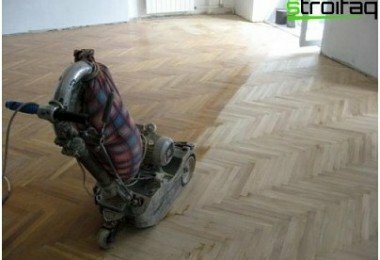 Finally, the choice of flooring depends on how long the repair will last, because it assumes the floor almost all service loads: it is furniture, go for it, it needs to be washed frequently. If completing the repair, for whatever reason, you decide to abandon the living wood floor, you have to decide what to choose: linoleum or laminate. Both of these kinds of clothing are almost identical price floor, each of them has its advantages and disadvantages. UV-resistance - does not fade under the influence of natural or artificial light. Moreover, depending on the purpose of premises,priority to these properties the flooring is changing. For example, in the office floors have to be particularly resistant to abrasion, because they have to withstand more intense mechanical loads than in the living room. The floor in the living room is very bright, spacious apartmentsor private home to be equally resistant to abrasion and UV rays. After all, in this room, and guests take the floor even after the ladies dance in shoes with thin heels should stay perfect. Resistance to fading will allow rearrangement of furniture do not fear that at the site of a massive cabinet or sofa suddenly appears a dark spot. Finally, in the kitchen, hallway or nursery floornot only need to wash frequently, but also accounted for using detergents and solvents to remove even stubborn stains, and therefore the main criterion when choosing the flooring here is water resistance and high strength. Therefore, only understand the features of the two floor coverings and "try on" them to your particular room, it is possible to answer the answer to almost a rhetorical question: laminate or linoleum - which is better? 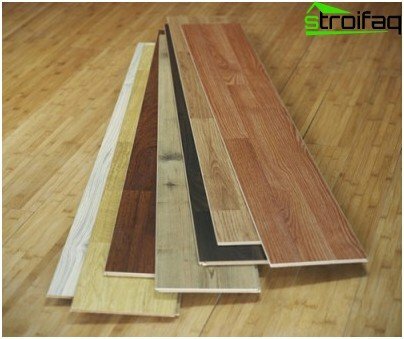 Called artificial multilayer laminateflooring. 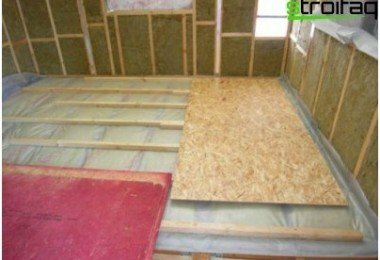 Basis and the thickest layer of the laminate flooring is usually special MDF panel to "wrong" side of a protective layer of polymer is applied. The front side of the laminate is made basesin the following way. On the panel bases decorative paper layer paste simulating natural structure of different materials and then coated with a protective wear layer of melamine or acrylate resin or a polymer film. 31, 32, 33 - high-strength laminate for public premises. 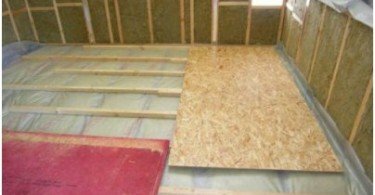 From the thickness of laminated flooring, which is from 6 to 12 mm, depending soundproofing floor: the thicker the material, the higher the level of noise reduction. 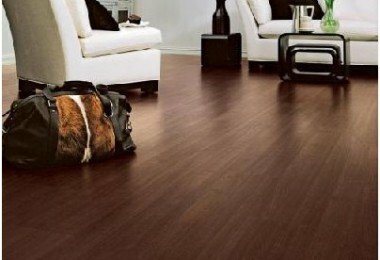 Modern laminate flooring endowed with a number of advantages that make them so popular today in the interiors of residential and public buildings. Resistance to UV-rays. For this indicator, laminate flooring is superior to most. Laminate flooring does not fade when exposed to sunlight and artificial room and throughout the life of the preserve original range of colors and shades. You can as many perestilat carpets or rearrange furniture: bleached spots on the floor will never appear. 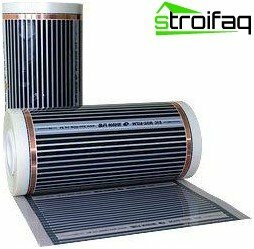 Strength, wear resistance, heat resistance,environmental friendliness. With reinforced absolutely environmentally friendly and resistant to mechanical stress components, a transparent protective layer of the laminate is resistant to shock, pressure, massive furniture. On the laminate are not scratches or dents on the heels or stiletto-thermal "burns" from accidentally fallen cigarettes or burning splinter from the fireplace. Laminate flooring antistatic and therefore does not attract dust and does not cause allergies. Easy installation. Quickly and easily in just a few hours of laminate flooring can be laid even specialist Trace the recommendations the manufacturer's instructions. To mount the laminated coatings last generation does not need glue, snap-in locks are provided for connecting the panels. Gender of this type can be easily removed and reused in another room. Can be laid on any basis. Laminate flooring can be laid on concrete and stone foundation. If they do not require equalization, it can be dispensed without pretreatment. 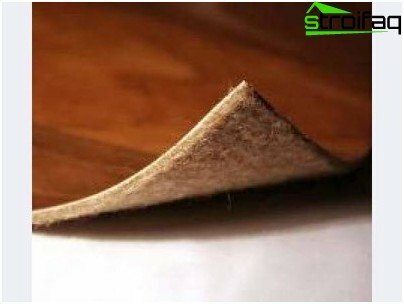 Also, using in each case a special type of substrate, the laminate can be laid on wooden planks, vinyl tiles and even on the carpet with a short nap, without removing them. Easy care. To clean a laminate floor rather damp cloth or a vacuum cleaner. With easily, leaving no traces of deleted traces of grease, nail polish, tar and even oil. With a variety of advantages of the laminate, as well as any other building material, it is not free from drawbacks that should be considered when choosing the best flooring. Life time. It selectively apply to the selection of laminate floor arrangement in areas with high humidity or high permeability, namely, in the office or in the hallway and kitchen premises - even under the most careful care laminate floors here will serve no more than 5-7 years. The synthetic nature. 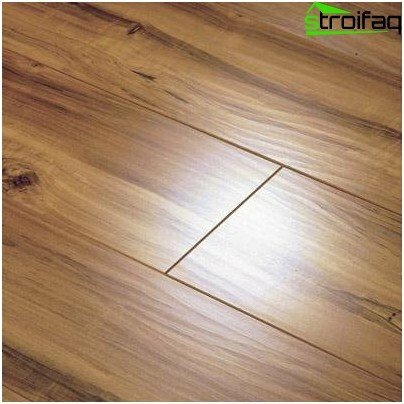 Laminate - artificially created decoration material and are not suitable for the premises, in which preference is given to the finishing natural materials. Sensitivity to water and aggressive media. With frequent washing with aggressive detergents and improper care on the laminate floor may not appear amenable to eliminate whitish spots. Poor sealing joints between the panels. It is the most vulnerable spot of laminate flooring, regardless of class resistance. laminate stacking technology can not achieve a perfect seal seams. During the operation in the joint space gets moisture and dust could cause the edges of the panels over time are destroyed and the floor loses its aesthetics. Yet, despite the shortcomings and thanksdiversity collections and the continuous improvement of the properties of the laminate popularity knows no equal space interiors. Imitating natural wood, stone or tile, it compares favorably with the cost of prototypes. Style, graphics and colors allow you to create a laminated cover in the same room with the functional areas "different" flooring materials, and transfer line, for example, "parquet" to "marble" look natural and harmonious. Today laminate flooring decorate living spaces, shops, restaurants, boutiques, showrooms, classrooms, etc. 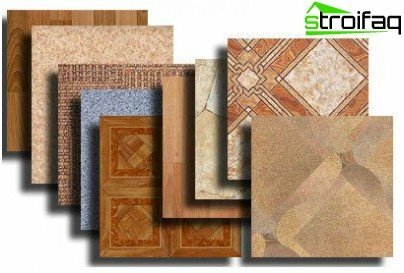 In addition to natural and synthetic linoleum, by this type of flooring also include various kinds of rubber coatings and quartz-vinyl tiles. Linoleum, thanks to the strength andthe highest hygiene, indispensable in hospitals, schools, kindergartens, public catering establishments, retail and office centers. He does not crumble or crack with temperature changes and humidity, not to wear, do not fade under bright artificial light and the sun. Color and pattern linoleum is dyed throughout its depth, and so it will never rub off. Finally, thanks to a thickness of 0.8-4 mm, this flooring can be laid on any even very flat surface. demands of care - every 4-6 months is necessary to rub a special mastic. Household linoleum. Designed for residential, characterized by a variety of colors and patterns. Due to reasonable prices is widely used in kitchens, hallways, children's rooms and other areas of residential apartments and houses. Semi-commercial linoleum. The group that combined the best characteristics of commercial and household linoleums. It is durable, durable, wear-resistant, differs in variety of colors and bright design. 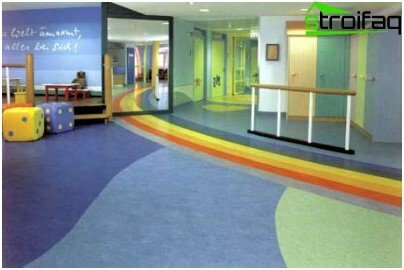 The width range of commercial linoleum is quite extensive, which is especially convenient for the arrangement of floors in spacious premises of offices, hotels, children's institutions, etc. 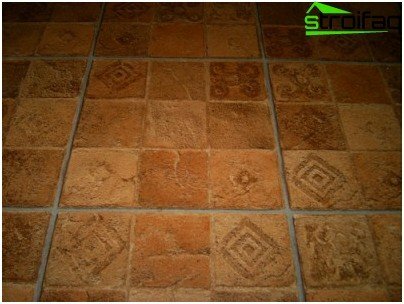 In addition to the general list for the group of synthetic linoleum advantages, are issued with certain types of anti-slip properties and high sound absorption. decrease in elasticity at low temperatures, as a result of the coating can crack or break. 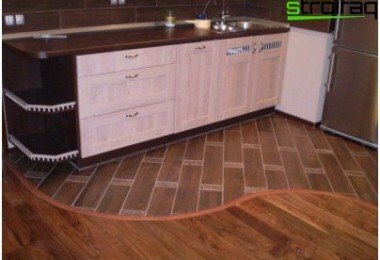 And laminate and linoleum have a number of indisputable advantages, but also on the shortcomings are not free, and therefore definitive recipes of their application can not be. For example, laminate comparison linoleum and synthetic incorrectly asthe prices of these materials are incomparable. 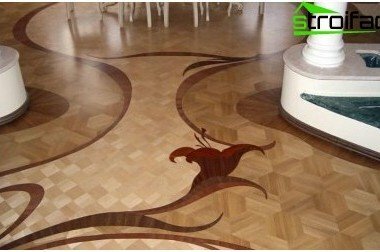 Therefore, if you decide as cheaply as possible to update and refresh the room, then of course synthetic linoleum PVC suit you perfectly. However, in the case of unheated winter summer cottage, then in the spring of brand new linoleum on the floor can deteriorate considerably from the cold. Laminate and commercial or natural linoleumcomparable in price and may well be an alternative to each other. 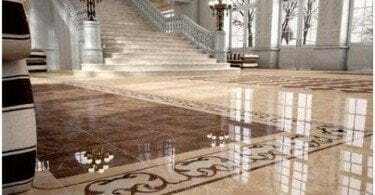 These types of flooring are inherent in almost the same skills, but still there are a few differences, which can be decisive in the choice of a particular material. Linoleum can be washed as often as required, anyof water using any detergent. Laminate can also wipe a well-wrung, slightly damp cloth, do not forget about vulnerable joints, the joints of panels. The term of service of laminate shorter duration of "life" of linoleum, laminate but looks so much like natural wood or other natural material! If you want - Stela. For the public, warehouse or industrial premises, home workshop, any ancillary farm buildings, of course, a synthetic PVC Linoleum - the perfect floor covering. 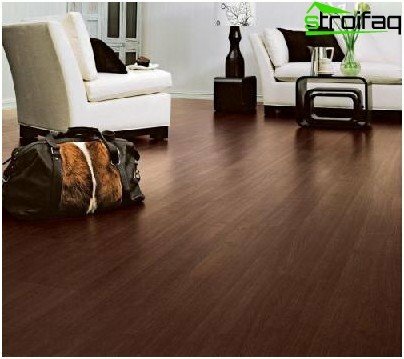 Finally, make a choice between synthetic laminate flooring and linoleum will help only the inner voice, which we hope will not fail.